This London Borough by Postcodes product is a lookup between every Postcode in Greater London and the Electoral Ward and Districts (Boroughs) they fall within. 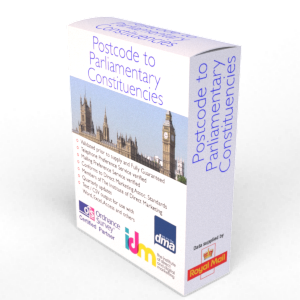 In addition to the Westminster Constituency Codes & Names, this product also includes the Postcode, Member of Parliament Names and the Party currently holding the seat for that postcode and also an additional field to identify the Scottish Constituency UK in Scotland and the Welsh Assembly in Wales. The Free Postcode Areas List is a perfect reference tool for the Postcode geography of the UK. The list contains 124 Postcode Areas and almost 3,000 Postcode Districts. "Postal Required" and "Postal Not Required" locality names across the UK. Localities are geographic place names which have no physical boundary defined but are used locally to differentiate different areas of the same larger town. In short they are "Place Names" for the areas you see around and within towns, villages and hamlets etc. Also including the names for the very same.